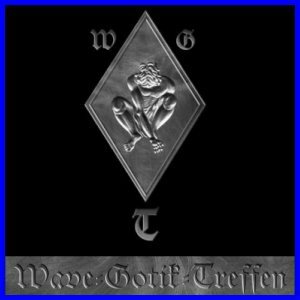 The announcements are still coming in thick and fast for this years Wave Gotik Treffen festival. ABSOLUTE BODY CONTROL (B) , JOB KARMA (PL) , [:SITD:] (D) , KITTY IN A CASKET (A) , REMEMBER TWILIGHT (D) , ROTERSAND (D) , JOY OF LIFE (GB) , XIV DARK CENTURIES (D) , BECK SIAN & JONATHAN KERSHAW (GB) , SONNE HAGAL (D) , UK DECAY (GB) , CECILE CORBEL (F) , LACRIMAS PROFUNDERE (D) , ALBIREON (I) , DOWNSTAIRS LEFT (D) , HOCICO (MEX) , THE LOST RIVERS (D) , DESIDERII MARGINIS (S) , IMAGINARY WAR (D) , RAPALJE (NL) . The bands join previously announced artists such as Aeon Sable, Apoptygma Berzerk, Faderhead, Frontline Assembly, The Hiram Key, The Klinik, Siva Six and Xotox.